Distracted by your menu bar? 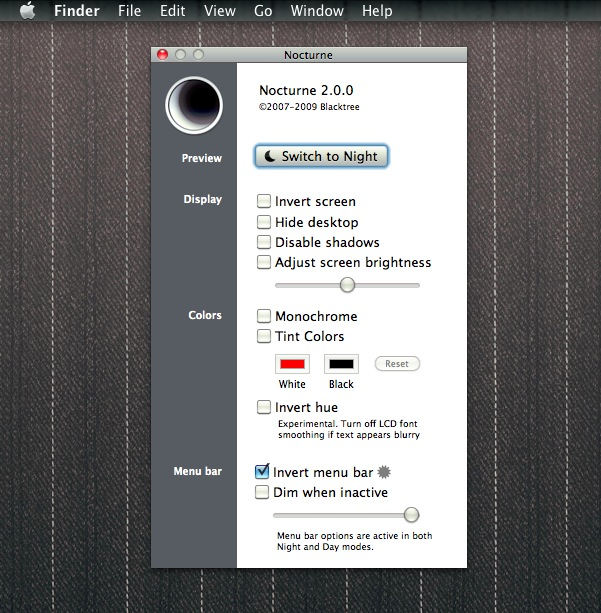 If you want a stylish iOS-like black menu bar in Mac OS X but don’t want to go all out with an iOS / Mac desktop, you should grab Nocturne, it’s free and adds some pizazz to your Mac desktop. You probably noticed by now that the black menu bar is achieved just by inverting the screen. Depending on what your background wallpaper is you may want to tweak some of the other settings to maintain a true black menu bar rather than just having an inverted version of whatever colors are shown through the transparency. You can also use Nocturne with the “Dim when inactive” feature to achieve an appearance similar to auto-hiding the menu bar in Mac OS X, although it just fades in and out rather than the slide in-and-out manner of the hiding Dock. I find the black menu bar is a better solution than hiding or dimming for practical purposes, but try them yourself. I really like the way the black menu bar looks, it’s out of the way and very iOS-like. If you feel like going off the deep of the iPad-ization of your Mac, you can make Mac OS X look like iOS by using a series of tweaks and customizations to the Finder. What’s with the obsession of turning your Mac into an iPad? Why don’t you just use an iPad then? AWESOME!! Thanks so much I have wanted to do this for years. Is there a way to keep my Nocturne setting after restart? …and add the Nocturne app to the list. Note “Dim when inactive” has a bug whereby if set to only partial dim, then after restart it goes completely dim until the first time the menubar is mouseovered. Otherwise, the effect completely blows me away. 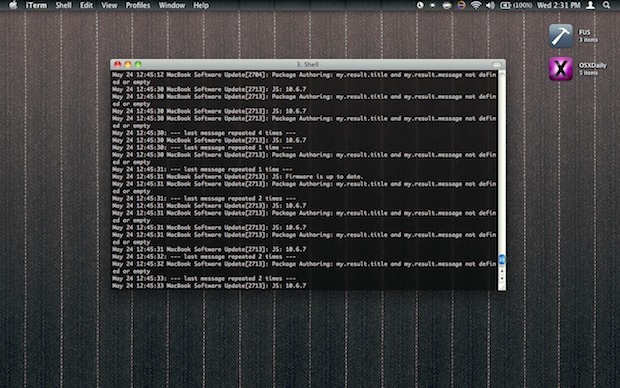 Now I have to figure out how to dim the Dock…. Great tip, thank you! There is a little problem with Nocturne though: it does not disappear completely when in full screen mode… what to do here please? Doesn’t really work with full screen apps though, besides that its awesome!